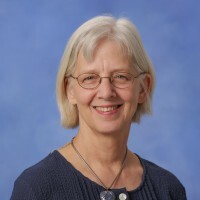 Judy Schneider earned her PhD from the University of California, Davis in 1996. Prior to earning her PhD, she worked in both the aerospace industry for 11 years and in the biomedical industry for 5 years. Following her graduation, she was employed as a Post-Doctoral Researcher at Sandia Labs in Livermore, CA and at the Max Planck Institute for Powder Metallurgy in Stuttgart, GE. Schneider began her academic career in 1999 in the Mechanical Engineering Department at Mississippi State University where she progressed through the ranks to full professor in 2011 and was named the Coleman and Whiteside Professor in 2013. She is currently an adjunct Professor in the Mechanical and Aerospace Department at the University of Alabama, Huntsville where she will join the faculty in the fall 2015. Schneider’s research thrust is correlation of the environmental effects, such as temperature and strain rate, on the mechanical performance of structural materials. Much of her research centers on characterization of the microstructural evolution during either the processing or service life of the material. This area of research focuses on how materials can be fabricated to produce suitable microstructures for specific structural applications. Schneider is a member of both TMS and ASM and become an ASM Fellow in 2015. TMS awarded her the TMS Distinguished Service Award for the structural metals division (SMD) in 2015. She currently serves as the Programming Committee Chair for ASM. Schneider has been the academic advisor for 27 graduate students who are now active in industry and national laboratories within the USA. Over 50 undergraduate students have been employed in her laboratory to assist with research projects.